Fate/Extella Link Review - Fate/Musou? Fate/Extella Link Review – Fate/Musou? Sometimes it feels like there’s no room for innovation left in the hack n’ slash genre. When it comes to felling dozens of enemies with a single move, the Warriors (Musou) series of games have perfected the formula, with dozens of spin-offs, mainline games and collaborations. From One Piece to Zelda, Transformers and beyond, it doesn’t feel like you can add or improve much here. But then I played Fate/Extella Link, and shockingly, I found it to be one of the best Warriors-style games I’ve played in a long time, improving on Omega Force’s tried and true formula in minor, but substantial ways that change the experience for the better. But that’s not to say that it doesn’t come with its own set of pitfalls. Fate/Extella Link isn’t just a hack and slash experience though, it’s a game of two halves, one of those halves being a visual novel style storytelling experience. And how much you enjoy that will entirely depend on how you feel about the Fate franchise, which just might be one of the more difficult anime and games franchises out there to enjoy thanks to multiple anime adaptations and no real way to experience the story properly without playing the original visual novel. But there’s a reason why the franchise has so many fans despite that. 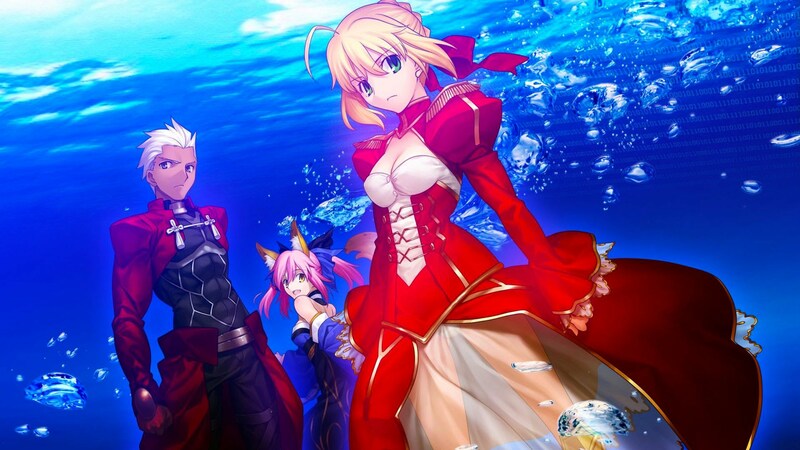 Fate is a series with incredibly strong characters and excellent character designs. It is all too easy to start loving the cast thanks to designs and personalities which stay fresh in your mind. And luckily, that strong sense of design carries over to the gameplay. It is, as mentioned, a hack and slash affair which is heavily inspired by the Warriors series. All of the Musou staples are here, two attack buttons, branching combos that get better as you level up characters, special super moves and a speedy power-up mode that will see you slashing through hundreds of enemies at speed. You’ll be capturing sections of the map as you move through them with your cast of characters, eliminating the larger enemies systematically to take control of the map and clear missions. 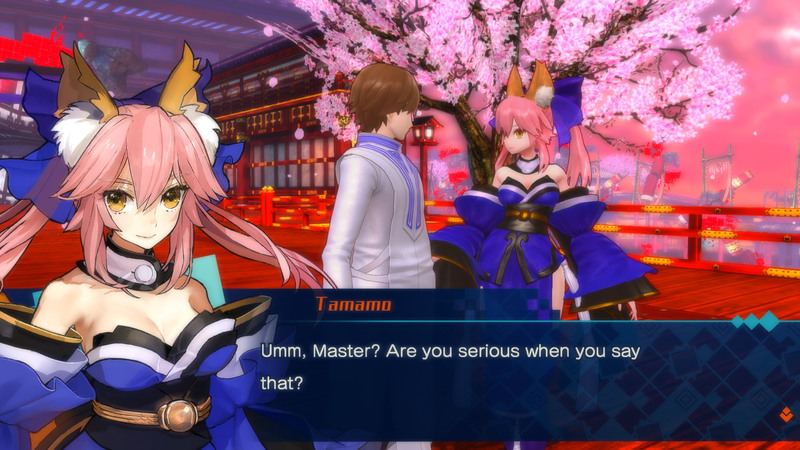 If you’ve played any Warriors game, this will all be incredibly familiar, but what is refreshing about Fate/Extella Link is that there is no downtime. Related Fate/Extella Link Review – Fate/Musou? In most Warriors games, the downtime happens when navigating the large map, interrupting the flow of gameplay. Moving from room to room in order to capture them takes time and destroys that speedy progress curve, while Fate/Extella Link smartly removes the downtime by removing the corridors between rooms on the map. It’s so simple and so genius. The corridors in these games have always been something I just don’t question, it’s a seemingly necessary part of the stage design. Boring, but necessary. Here they’re gone, replaced by transporters that literally fly you speedily from room to room. Such a minor change to the formula is somehow the greatest innovation the genre has seen. But if other Warriors-style action games aren’t your cup of tea, this one won’t magically be to your tastes. It is, broadly, the same kind of game. Combos can become repetitive if you’re not switching up your roster, and there’s an initially daunting amount of micromanagement to slog through if you want to go into battle with the strongest characters possible. It’s all worth it, but these tiny gaps between the action can feel frustrating if you have a lot to optimise. Similarly, if you just want to bash through the story, you’ll likely be sticking with one character most of the time as they’ll be a higher level than other party members. It’s something that encourages not diversifying. You can spend currency to level up characters, but the further you get in the story, the more you’ll need to spend to get other characters up to par with your main. Despite some minor gripes though, this feels like a high-quality hack and slash experience, with great characters, animations, combat, and a fun story. This is one of the better Warriors-style games out there, and it wasn’t even made by Omega Force. If you’re looking for a hack and slash game, Fate/Extella Link is a fantastic one, even if you’re not a fan of the series, though if you are, that’s another good reason to jump in.